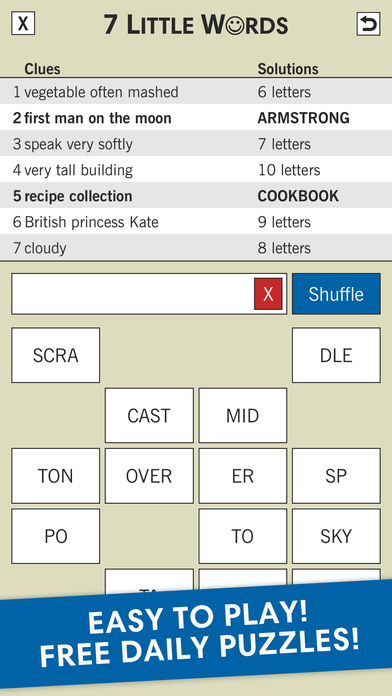 A few out-of-the-ordinary word games I've enjoyed... All four of these are free to download and play, and all of them provide a free daily puzzle, plus a starter pack of puzzles. Available for iPhone and Android devices. Free daily puzzles, plus the past 30 days worth of free dailies remains unlocked. Puzzle packs are 99¢ for 50 puzzles, and you get free bonus puzzle packs periodically. Sort of a combination of a crossword puzzle, a word search, and trivia, you're presented with the fragments of a puzzle and a categorical clue. 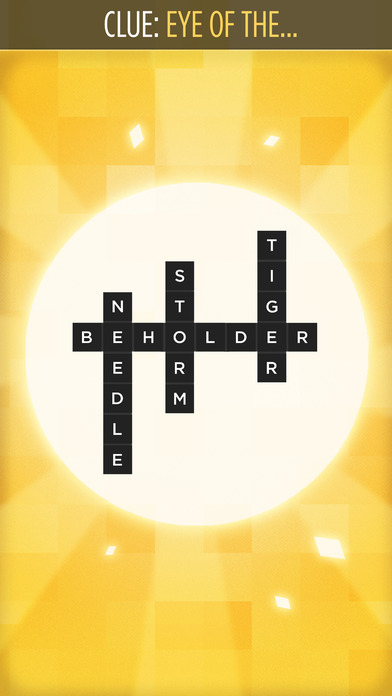 Assemble the puzzle into crossword format to solve. Will Shortz has given Bonza rave reviews. Available for iPhone and Android devices. Free daily puzzles, plus you get one free starter pack. Puzzle packs are 99¢ for 30, and a bundle of four packs is $2.99. Played the same as Bonza, but with all Nat Geo themed categories. Available for iPhone and Android devices. Free daily puzzles, plus you get one free starter pack. Puzzle packs are 99¢ for 30, and a bundle of four packs is $2.99. You're presented with seven clues, the number of letters each answer contains, and a number of word fragments. 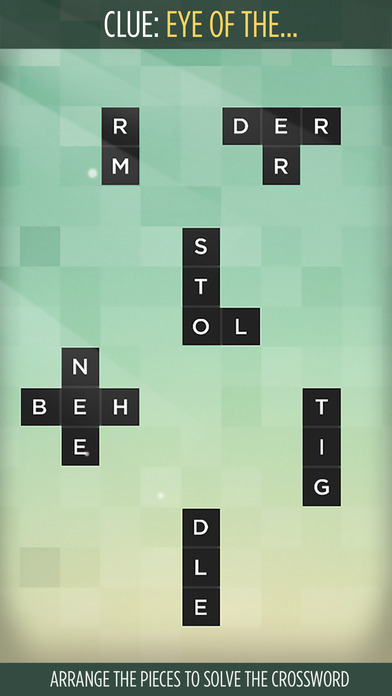 Tap the fragments to assemble the words that solve the seven clues. Available for iPhone and Android devices. Free daily puzzles, plus you get one free starter pack. There's a subscription option, and puzzle packs are available to purchase individually in a range of sizes and prices. What happens if you fail? Do you have to turn in your smartphone? im very poor at puzzles and math lol. any normal game is good for me. It shows on your (repeat) posting.